"Marriage Bootcamp: Reality Stars" is in it's 9th season. 9th season!! And WEtv has just announced their latest cast: Kailyn Lowry and Javi Marroquin, Mehgan James and DeAndre Perry, JJ Lane and Juelia Kinney, Asifa Mirza and Bobby Panahi, and Amina Buddafly and Peter Gunz. Dr. Ish and Dr. V are back, but will the couples finally hatch an escape plan? Kailyn and Javi, Teen Mom 2, are just trying to co-parent. But she slept with his bestie, so that'll be fun to dissect. 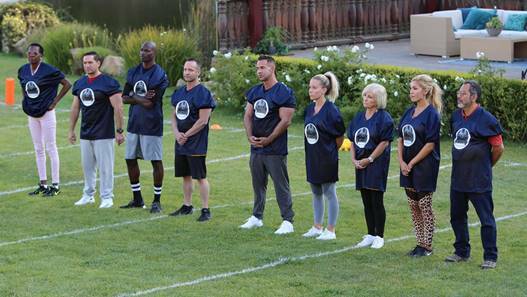 WE tv expands the "Marriage Boot Camp" franchise with a new series "Marriage Boot Camp Reality Stars Family Edition" premiering on April 28. "The series will feature a compelling cast of famous and famously dysfunctional families including Kendra Wilkinson and mother Patti Wilkinson ("Kendra on Top"), Mike "The Situation" Sorrentino and his brothers Marc and Frank Jr. Sorrentino ("The Sorrentinos"), Farrah Abraham and parents Michael and Debra Abraham ("Teen Mom"), and Chad "Ochocinco" Johnson and mom Paula Johnson ("Ochocinco: The Ultimate Catch")," says WE tv's press release.